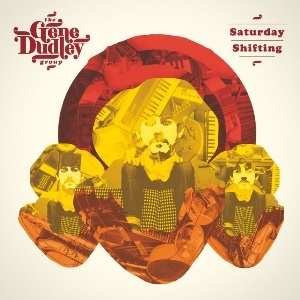 The Gene Dudley Group represents an outpouring of deep soul and funk music from the obscenely talented 27 year-old multi-instrumentalist; Gene Dudley. The debut album, Saturday Shifting, was recorded in a cupboard in Muswell Hill, North London, and features the man himself on; trumpet, saxophone, drums, bass, guitar and piano. On a couple of occasions, though, Gene had to budge over to allow fellow musicians Ewan Whyte and Tom Jackson to fit in and play a solo or two, but other than that, everything you hear on this album comes from the mind, mouth, fingers and heart of Mr. Gene Dudley Esq. Fans of labels like Truth & Soul and Daptone will relish these sonorous soulful offerings, but the influences on this album are wide ranging. Tracks like When The Gorilla Get Grip and The New Lots Of Cooperstown conjure up 60s spy soundtracks, but elsewhere there are afro-beat influences on The Hilo Bay Halfway and more easy, introspective moments on Minnie and Do The Stanley Weinberger. Just when you think you've got Gene Dudley's sound pinned down, the album culminates with a real game changer in the shape of the brilliantly titled Waxing Unwaxed Lemons, a quirky, electronic tinged nugget that should please many a dance floor.